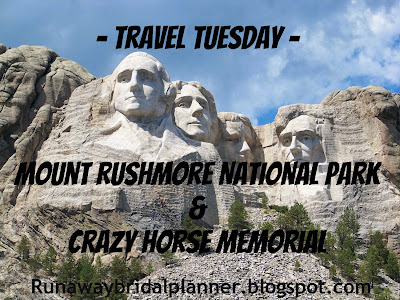 This week I'd like to take you on my travels to Mount Rushmore National Park & Crazy Horse Memorial in the black hills of South Dakota. Just about everyone in America has heard about the Magnificent Presidential faces carved in granite, and let me tell you if you have a chance to visit, I highly recommend taking a trip or stopping off to visit Mount Rushmore! As you come up towards it, you get to pass through the Avenue of state flags. I loved this picture, I remember my thoughts as I was walking up. I was so excited to finally get to see in person what I'd only heard and viewed pictures before. Before you go out to look at the monument. 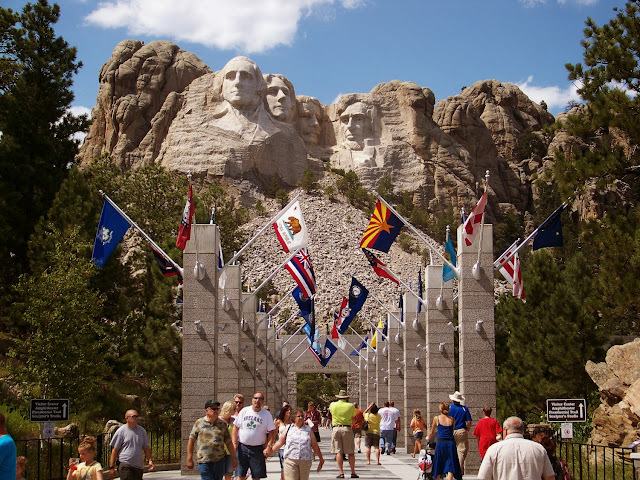 I'd suggest stopping off at the Lincoln Borglum Visitor Center first, here you will get to learn a bit more about Mount Rushmore and how it was built, there are also exhibits and other facts there. Then go take a little walk/hike, along the Presidential Trail, here you will get a chance to get up closer to these magnificent rock carvings. You can also take a tour guide, I went on one for a little while. We had a great ranger who told us lots of stories and interesting facts. The other half, I just walked on my own. There is also a Sculpture Studio where Gutzon Borglum spent his time on the model for the sculpture. It's actually in such a beautiful place, the black hills which aren't really black:) are filled with beautiful pine tree's. There are a few other exhibits and interesting facts to learn about while you are walking the trail. After you have finished the trail, and seen all you'd like to see. Plan on taking a little drive down the road, to a monument in progress. Crazy Horse Memorial. Crazy Horse Memorial is a work in progress, meaning there is a pretty good chance the day you visit they will be working on carving the monument. When will it be finished? Well, as I remember being told while I visited, your guess is as good as theirs. This monument is privately funded and has been since 1998, meaning they are accepting donations at any time to help continue the work. They turned down federal assistance years ago as a tribute of respect to the great Lakota Chief Crazy Horse, and decided to have it funded by donations only. The face of Crazy Horse, is easy to see. The rest, you have to look a little. They do have painted outlines where they are carving to help give you a better idea of how the finished product will look like. However, if you are anything like me, you need a little bit more to go on. They have this beautiful statue outside the Indian Museum. The above white statue, is exactly how the huge mountain when finished will look. Pretty amazing! I hope they finish it in my lifetime, because I would definitely go back to see the finished product. Not that it isn't interesting visiting now and seeing the work in progress. There is large campus that has a welcome center, Indian museum, Restaurants, gift shops, Educational workshops and studio's. Well worth an hour or two to stop by! I actually really enjoyed walking around the different displays in the museums, probably my favorite part of this monument. 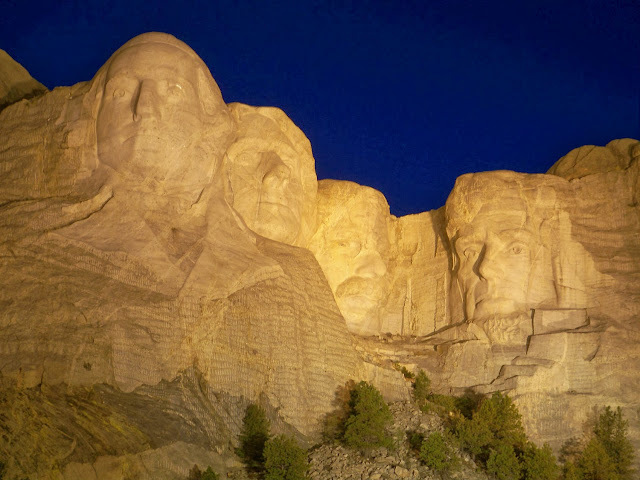 After, as it starts to turn into dusk, I highly recommend traveling back Mount Rushmore for the evening lighting ceremony. I really enjoyed this program and tribute to veterans! It was great and the lighting of the sculpture is beautiful. Truthfully, you can very easily do both in one day and not feel rushed at all. But if you have more time, I am sure you will find many other things you'll love to do and see as you visit. Not to mention sightseeing around the beautiful Black Hills of South Dakota! * You can likely see everything you'd like to see in 1-3 hours, but if you have longer time they have other programs you can sign up for. * Park is open year long. * No camping or lodging in the park itself, but there are lots of nearby options. * There is a charge to visit this memorial, when I went it cost $10. However, it is free to Native Americans and Military Personal, you can visit their website HERE to learn more. * Memorial is open year round, times differ each season. * If you have additional money you want to spend you can take a tour to the base or even right up to stand next to the face. 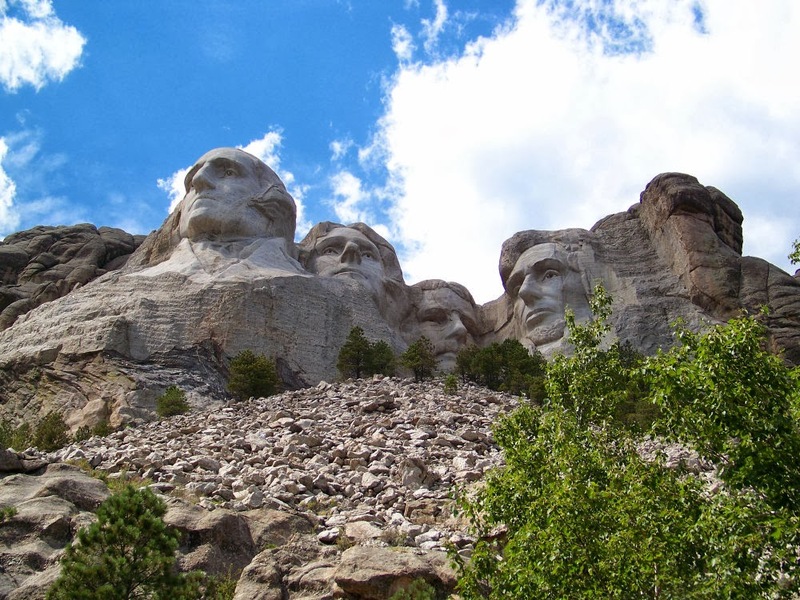 Thanks for sharing these great pictures, I visited Mount Rushmore about 12 years ago and it was one of my favorite trips I've ever taken. I don't think we made it to the Crazy Horse Memorial though, here's hoping that we both get to see it done. 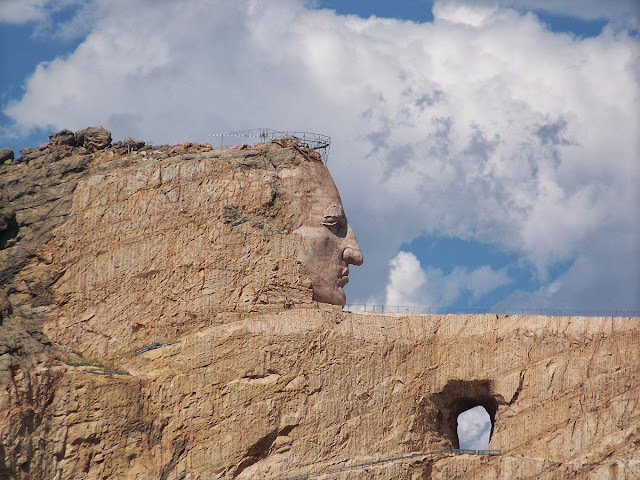 12 years ago, I doubt they even had the Crazy Horse head finished, so you probably didn't miss much then:) But I am agreed, hope they finish it in our lifetime!! We went there two years ago, on an RV trip. What amazing places to see, everyone should get there in their lifetime! 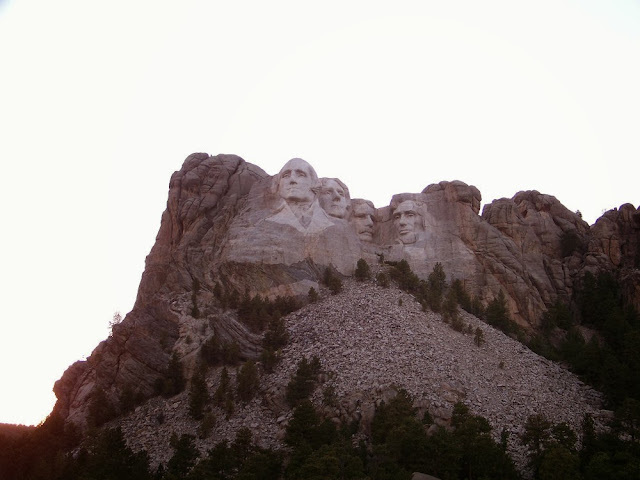 I went to Mt Rushmore as a teen when I don't think I really appreciated the beauty and importance of it. Looks like a great place to visit! Great pics! My parents and I went by the Crazy Horse monument prior to 1998 and only part of the face was done. At that point there wasn't much else to see, so the status of what they want helps me picture it in the hill. I have always wanted to go to Mt. Rushmore. I hope to visit in my lifetime. 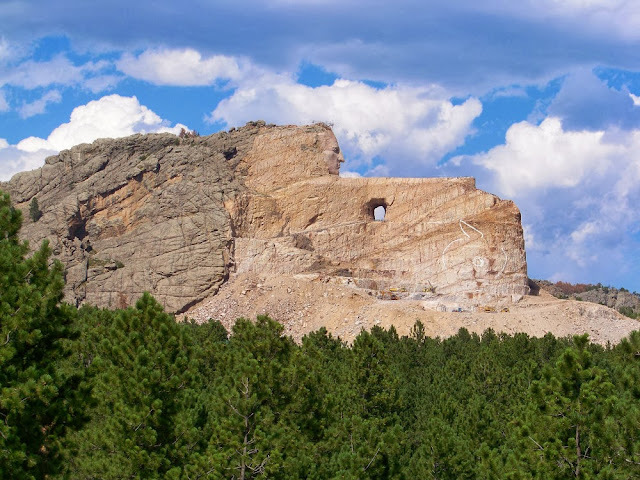 I have never heard of the Crazy Horse monument...is that crazy...where have I been. I have never been but the photos are spectacular. Thanks for sharing ! 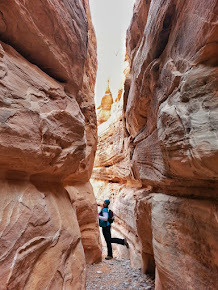 Not sure I will make it one day, the Grand Canyon would be my next big trip. This is on my bucket list -- we're hoping to do a family trip here in the next year or two! 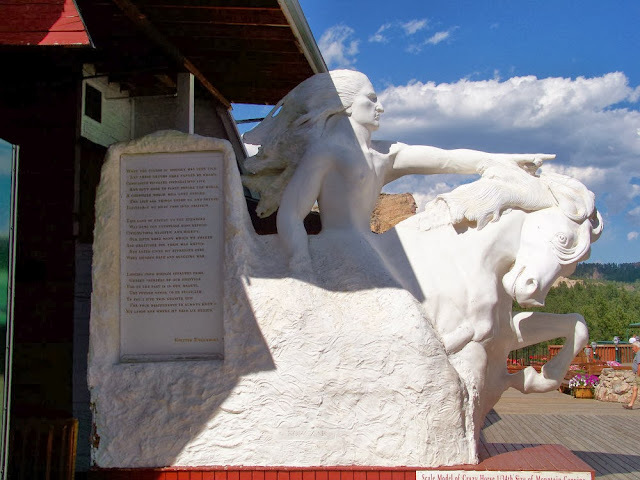 I loved learning about the Crazy Horse Memorial -- I vaguely remember hearing about it, but now will be sure to make it part of the trip too! It's funny how when we get older we appreciate things more, guess that just gives us all reasons to go back and see things again as an adult too, right! Thanks! Yeah it's a fun place to see! Ya, its definitely a slow building memorial that is for sure. But ya I liked seeing the statue so I could see how it will eventually look. Oh I hope you do make it one day! Crazy Horse is just down the road, it's so easy to see both in one day. Thanks for stopping by, glad you like the travel posts! The Grand Canyon is so beautiful I hope you have a great time on that trip!!! 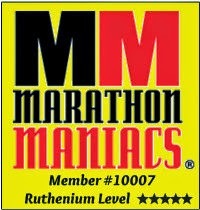 Oh how fun, I hope you do make it! It's a great place even for kids. 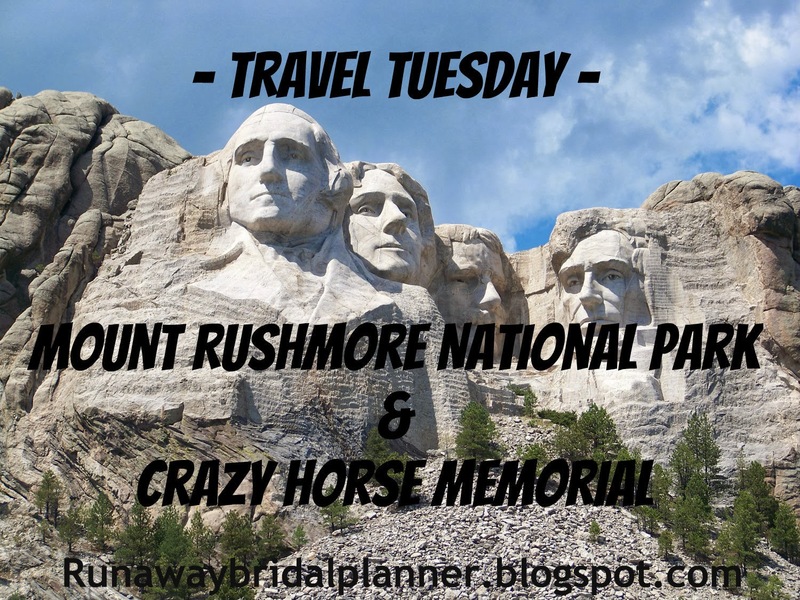 Crazy Horse is just down the road, not too far definitely worth adding in the trip you can do both of these easily in one afternoon! 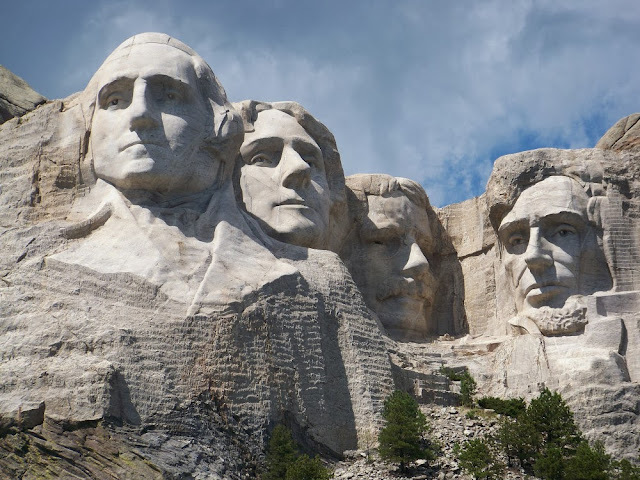 I doubt I'll ever go to Mount Rushmore but I have always wondered how they sculpted the figures into the mountain. I'd not heard of the Crazy Horse memorial before. I think it would be great to go back every few years just to see the progress. This is on my bucket list too! We hope to take a family road trip in the next few years out there! Thanks for sharing. 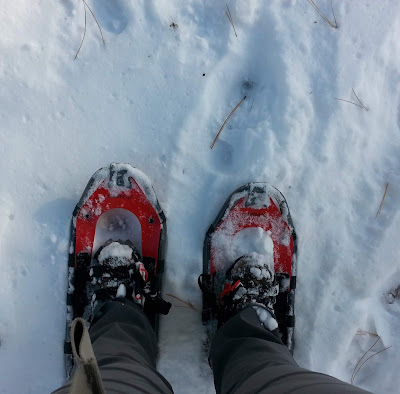 I'm hoping to run Crazy Horse next year so this post is helpful.